As South Africans we love our South Africa rugby and to us there is only one team (The Springboks) and two colours (green and gold) that matter in Test rugby and we expect our national team to do the impossible and win every game it plays. Currently South Africa is home to the World Cup, the World Sevens Series, the Super 14 Trophy and they also won the 2009 three test series against the British Lions. So, yes indeed we are a proud rugby playing nation and to win from us really takes some doing. 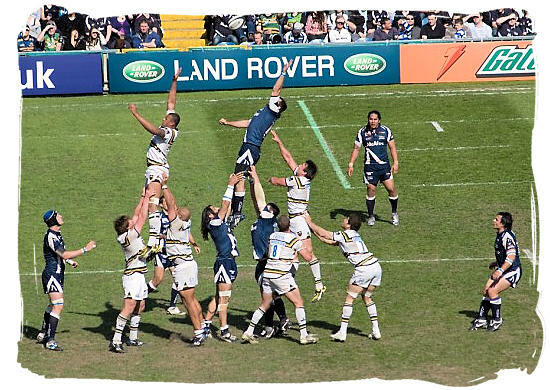 Historically Rugby was a kind of gentleman’s game played by well-to-do college students in England. It followed that when the game was introduced in South Africa during the Colony years, it was mainly played by the upper class white people. And so Rugby was looked at as the white man’s game during the apartheid years and even more so as the game of the Afrikaner. Soccer on the other hand, became the game of the black community of our country. 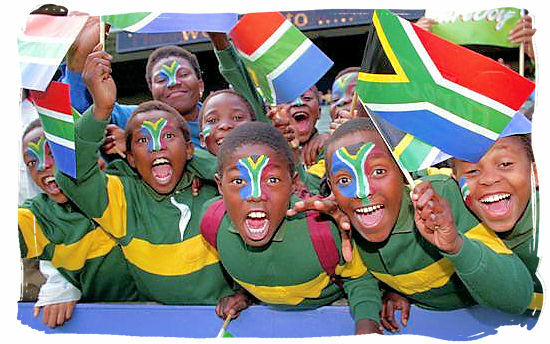 On the 23rd of March 1992 the non-racial South African Rugby Union and the South African Rugby Board were merged to form the non-racial South African Rugby Football Union, the overall governing body of Rugby in South Africa. 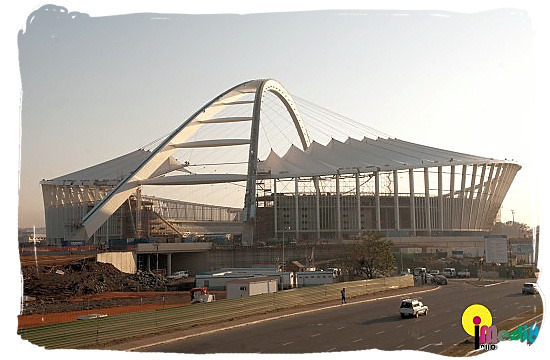 In 2005 the name was changed to South African Rugby Union. Since then things have started changing with the South African Rugby Union working hard to make rugby the game of all South Africans. Sport, like no other South African institution, has shown its amazing power to heal old wounds. Winning the Rugby World Cup, the William Webb Ellis Trophy, for the first time in 1995, remains as one of South Africa’s proudest moments on the road to peaceful unification of its people. 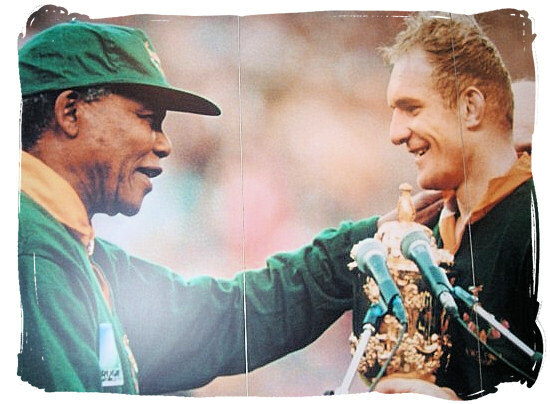 When the Springbok captain Francois Pienaar and South Africa’s president Nelson Mandela who had donned the number 6 captain’s jersey, embraced each other and hoisted the Cup together, 400 years of colonial strife and bitterness … suddenly seemed so petty. And so the unification process that took place in all the sports played in South Africa helped pave the way to the unification of all its people. 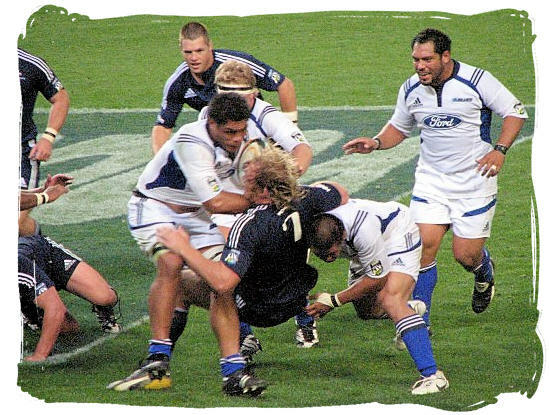 Following the success of the 1995 Rugby World Cup there was great demand for more regular competition between the southern hemisphere Rugby superpowers. 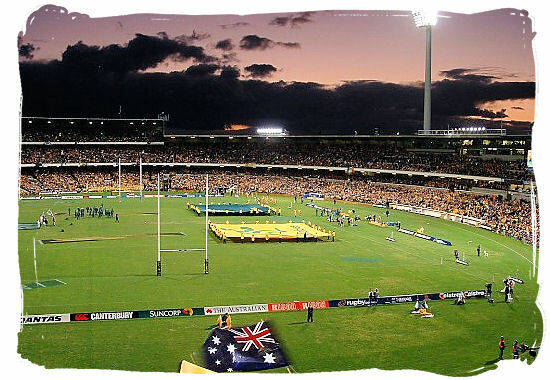 In 1996 the Tri-Nations Rugby tournament was born, an annual competition between Australia, New Zealand and South Africa to decide which country and team will be the Rugby champion in the southern Hemisphere. Having shared five out of six World Cups between them since 1987, New Zealand, South Africa and Australia have truly set the pace in world rugby. So becoming Tri-Nations champion is a great honour, it’s like winning the southern Hemisphere local derby. The three national teams play each other three times, whereby each team has two home fixtures against one team and only one home fixture against the other. The tournament begins early July and ends in September. Four teams from Australia, Queensland/Reds, New South Wales/Waratahs, Southern NSW & ACT/Brumbies, and the Western Australia/Force. Five teams from New Zealand, Auckland/Blues, Waikato/Chiefs, Wellington/Hurricanes, Canterbury/Crusaders, and the Otago/Highlanders. Five teams from South Africa, Free State/Cats, Western Cape/Stormers, KwaZulu Natal/Sharks, Gauteng/Lions and the Northern Gauteng/Bulls). The fourteen sides all play against one another once in the regular season, with no divisional or pool system. With each team granted one bye week, this phase of the competition runs for fourteen weeks. The teams in the top four places on the competition ladder after the regular season enter the two-week knockout phase of the tournament. This knock out phase takes place in the form of two semi-finals (in which the top-ranked team hosts the fourth, and second-ranked hosts the third) to decide the two finalists. 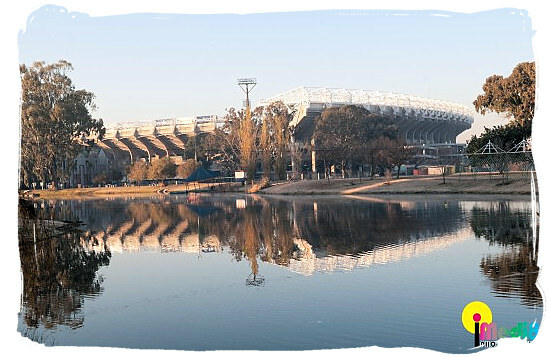 The final is played at the highest ranked winner's home ground, as opposed to a pre-selected neutral venue. The Sharks team is made up of players from the Natal Sharks provincial team. The Stormers team is made up of players from the Western Province and Boland Cavaliers provincial teams. The Cats team is the made up of players from the Cheetahs, Griquas and Griffons provincial teams. The Lions team is made up of players from the Lions, Pumas and Leopards provincial teams. The Bulls team is made up of players from the Blue Bulls and Falcons provincial teams. 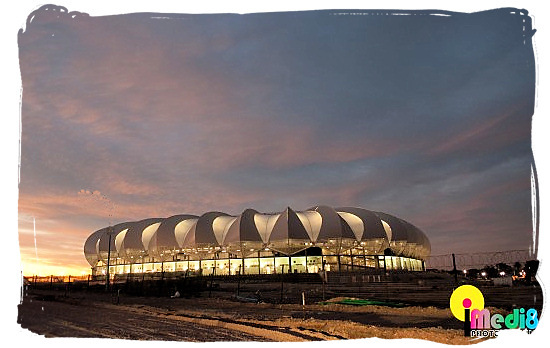 The Currie Cup tournament is South Africa's premier domestic rugby union competition, featuring teams representing either entire provinces or substantial regions within provinces. 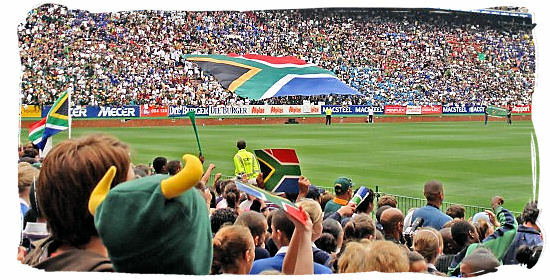 Although it is the premier domestic competition, South Africa also competes in the international Super 14 competition. When the first overseas team to tour South Africa stepped ashore in 1891 they carried with them a particularly precious bit of cargo. Among the bags, boots and balls was a golden cup given to the British Isles squad by Sir Donald Currie, owner of Union-Castle Lines, the shipping company that transported them to the southern tip of Africa. The gold trophy was donated by Sir Donald Currie in 1891 before the arrival of the touring British Isles team. Sir Donald was clear with his instructions - hand this trophy over to the team in South Africa that gives you the best game. 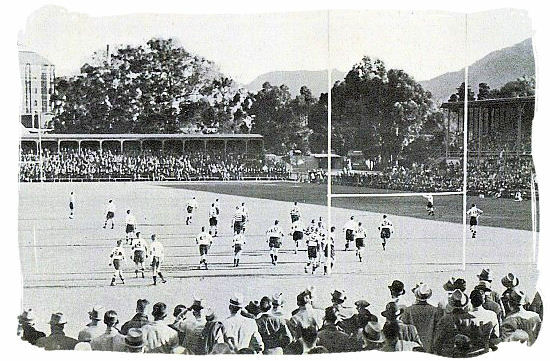 It became the prize for the Currie Cup competition, which was contested for the first time in 1892. 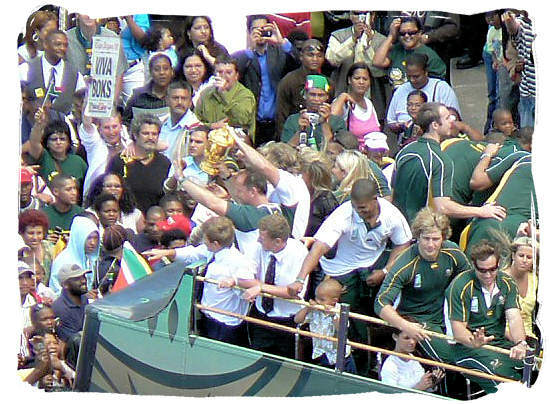 To this day the trophy remains the holy grail of South African rugby. They then donated the trophy to the rugby board, and it became the prize for the Currie Cup competition. The Currie Cup was first contested in 1892. While local unions battled for the Currie Cup from 1892 onwards it would take decades for an annual competition to be established. After years of occasional tournaments dominated by the Western Province team, South Africa’s premiere provincial spectacle kicked off in earnest in 1968. 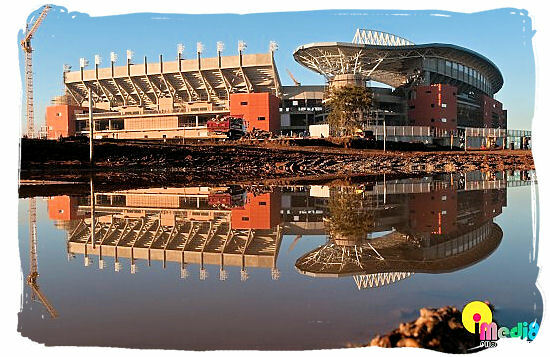 Up to and including 2007, the most successful province in the history of the Currie Cup is Western Province with 32 titles (four shared), followed by the Blue Bulls with 22 (four shared), the Lions with nine (one shared), the Natal Sharks with four, and the Cheetahs with four (one shared). Other teams that have lifted the trophy include Griquas (three times) and Border (twice, both shared). 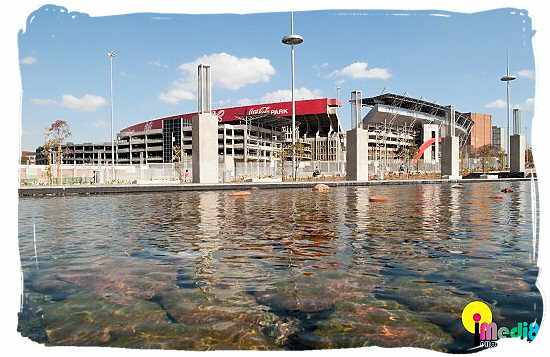 The Currie Cup takes place roughly between July and October. The format divides 14 teams into eight Premier Division and six First Division teams. The teams, in alphabetical order, are: Blue Bulls, Boland Cavaliers, Border Bulldogs, Eagles, Falcons, Free State Cheetahs, Golden Lions, Griffons, Griquas, Leopards, Mighty Elephants, Natal Sharks, Pumas and Western Province. The Vodacom Cup is an annual rugby union competition in South Africa which is contested between February and May. It is the South Africa Rugby Union’s third-tier competition, after the Super 14 and the Currie Cup. It runs roughly the same time as the Super 14, from late February to mid May, serving as a developmental platform for talented young players who might otherwise not get a chance to make their mark. At the same time it is a fertile breeding ground for strong players from previously disadvantaged backgrounds. The Vodacom Cup is divided into two sections - North and South - with the top two teams advancing to the semi-finals and playing cross-section matches of one-versus-two for a place in the final. 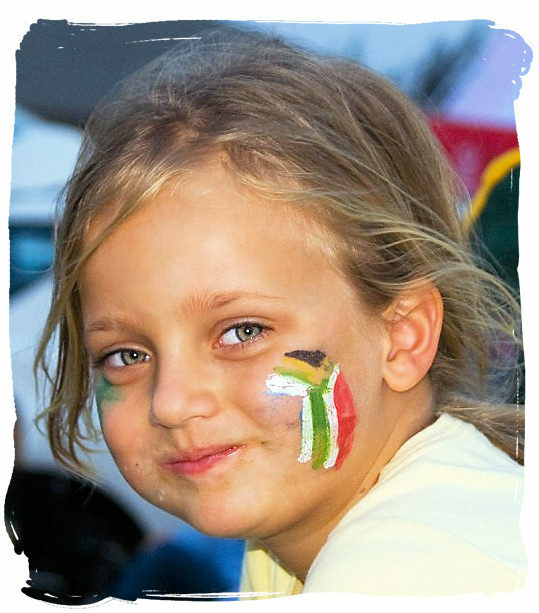 The North is made up of the Golden Lions, Griffons, Leopards, Pumas, Falcons, Blue Bulls and Griquas. The South's teams are the Mighty Elephants, Boland Cavaliers, Border Bulldogs, Free State Cheetahs, Eagles, Western Province, and KZN Wildebeest.